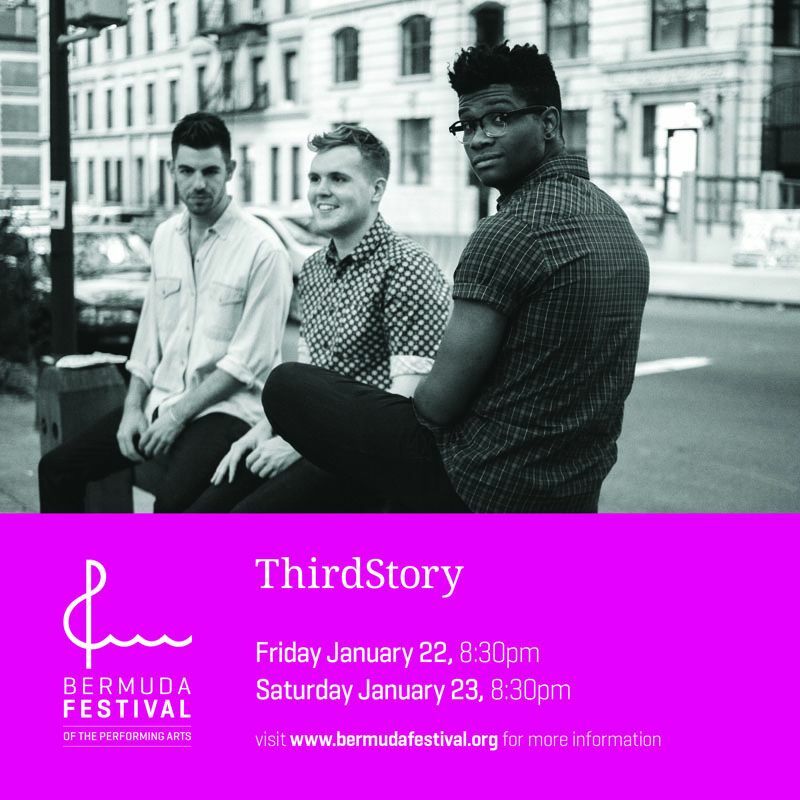 The Bermuda Festival of the Performing Arts opens its 2016 run on Friday night, [Jan 22] with the group ThirdStory. ThirdStory is a vocal trio with backing band and features Bermudian Ben Lusher. The group based in New York City who have been gaining recognition for their unique arrangements of covers of other artists’ songs and will be embarking on their first US tour and recording their first CD later this year. David Skinner, Executive Director of the Bermuda Festival, said: “We are excited about the opening of the 2016 Festival. “This year’s Festival offers a wide variety of world-class talent across several genres, and we hope everyone will find something to their liking. We are extremely pleased to have ThirdStory opening this year’s Festival and proud to see Ben Lusher, a Bermudian among the group on stage. “ThirdStory has made a name for themselves in a relatively short period of time, and we believe they are on a positive trajectory that will lead to a successful career”. Tickets are available for ThirdStory’s performances through www.bdatix.bm, and further information about this year’s artists including ThirdStory is available at www.bermudafestival.org.